Elenora Giddings Ivory in her office, November 2018. On November 5, I drove to Silver Spring, MD, to visit longtime director of the PC(USA) Washington Office and sometime lightning rod for the American far right, the Rev. Elenora Giddings Ivory. In the course of our conversations, and a recorded oral history interview, I learned a great deal about the foundations of Rev. Giddings Ivory's work in legislative advocacy and ecumenism. I left town in the afternoon with an extensive collection of records of her work and ministry. For PHS, this is one more step in our ongoing effort to represent the lives of African American Presbyterian leaders. "We as Klansmen and Klanswomen are not going to tolerate the black action group's activities in Howell Township or any other surrounding towns or counties[...] Our organization is dedicated to the purpose of never permitting this take-over by the blacks of our community occurring at any time now or in the future." Threats to the parents -- Klan pamphlets strewn in their streets, garbage dumped in their yards -- were serious enough to merit a visit by an FBI agent, who appealed to the First Amendment to justify inaction. In the third week of August, a local man burned a cross at the intersection of Manassa and Old Tavern Road. He was released on $1,000 bail, and the court kept his anonymity for his physical protection. Rev. Giddings Ivory was ordained by the Presbytery of Boston in 1976, the third African American woman ordained in the Presbyterian Church, taking the pastorate of New Life Presbyterian Church (Roxbury Crossing, MA). 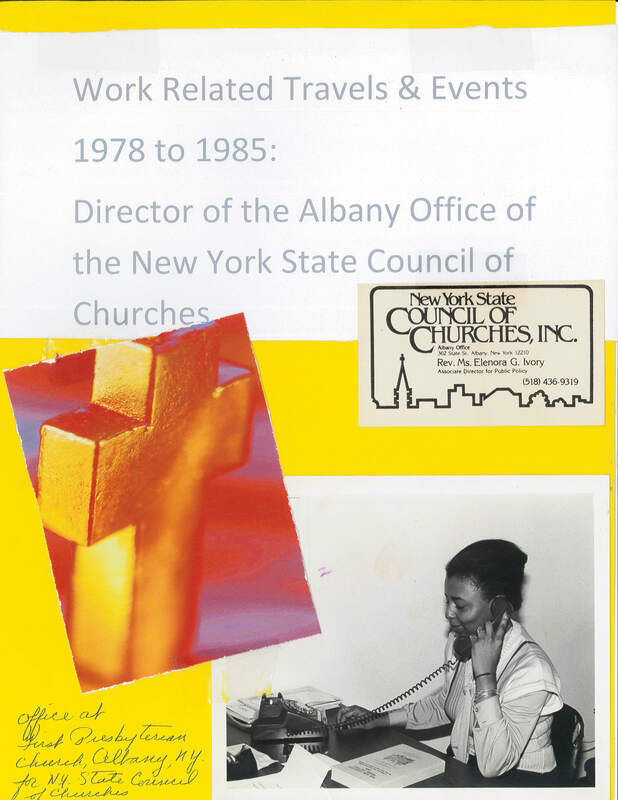 From 1978 to 1985 she was Associate Director of Public Policy for the New York State Council of Churches, serving as a legislative advocate in Albany for New York's Protestant and Orthodox Christian churches. From 1985 to 1989 she served as Associate for Mission and Ecumenical Affairs of the Presbytery of National Capital. She became director of the PC(USA) Washington Office in 1989, the first solo director of the office post-reunion. Her portfolio in the Washington Office in the first Clinton administration was chiefly focused on civil rights and religious liberty. She lobbied on behalf of the 1993 Religious Freedom Restoration Act, which was designed in part to protect congregations with feeding or clothing programs from homeowners' associations litigation. In our conversation, Elenora revealed that she relished questions about the source of her authority -- what justified her advocacy? "The authority we have to speak on behalf of the poor is found in the Bible, Matthew 25, [where] it says feed the hungry, clothe the naked, and the nations shall be judged. And welcome the stranger, the nations shall be judged by the way they do that. People don't know that. I love doing that. Put the Bible on the copying machine and run it across the street[...] Get this to your boss, that's our authority. You want to challenge it? They never did." After 18 years representing the will of the General Assembly to Capitol Hill, Rev. Giddings Ivory continued her long career of advocacy at the World Council of Churches, traveling from the Caucasus to the Congo, in the cause of peace. In her memoir, Rev. Giddings Ivory directly connects the events of August 1971 to the Unite the Right rally in Charlottesville, VA, in August 2017. It's clear that the struggles for full civil and political rights are ongoing. Less than two weeks after my visit, a small band of white nationalists gathered on the mall of the National Constitution Center, where they were shouted down by a thousand Philadelphians with me in their number. 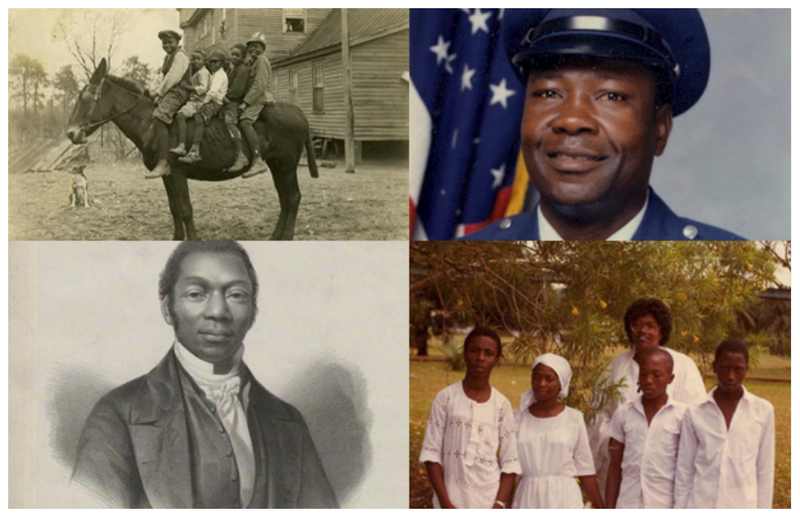 The work of archivists to support the ministry of a just and hopeful church is ongoing. Watch this space for more news about our collecting initiatives, and contact us to learn more about how you can support them.